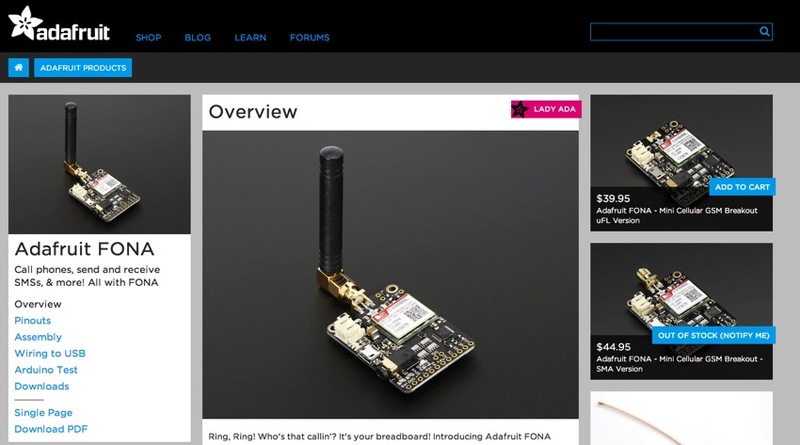 Tutorial – The Adafruit FONA « Adafruit Industries – Makers, hackers, artists, designers and engineers! Tutorial – The Adafruit FONA! Ring, Ring! Who’s that callin’? It’s your breadboard! Introducing Adafruit FONA MiniGSM, an adorable all-in-one cellular phone module that lets you add voice, text, SMS and data to your project in an adorable little package.